Room. Room. Room. Did we mention room? 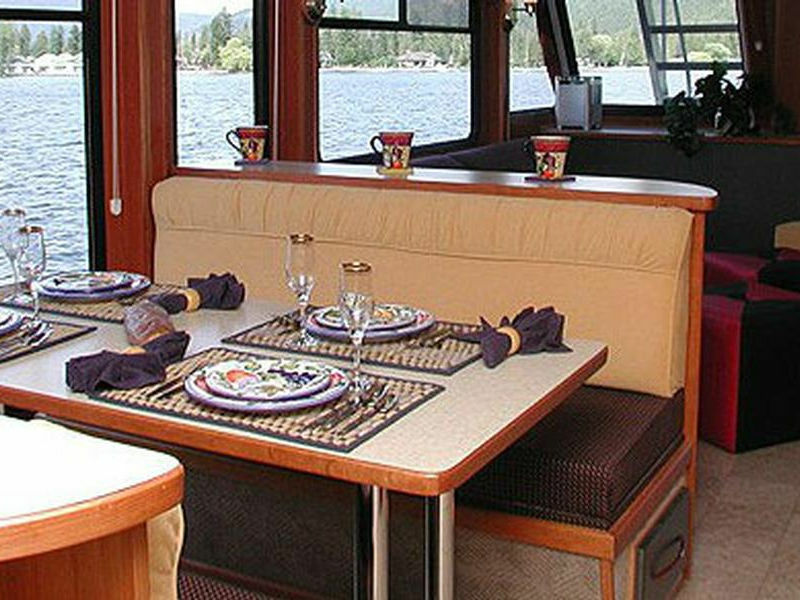 This is the 70 foot Genesis, built to accommodate smaller groups, but with space and luxury. 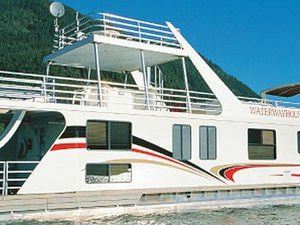 This Genesis model features a raised observation deck, 8 person hot tub, fireplace, TV/DVD/SAT, CD stereo, barbecue, full size electric refrigerator, wet bar, 4 bathrooms, 6 private sleeping areas, two of the six bedrooms are elegantly furnished with California king size beds that cleverly convert to two singles to accommodate children and/or singles. We've done everything but tuck you in.... 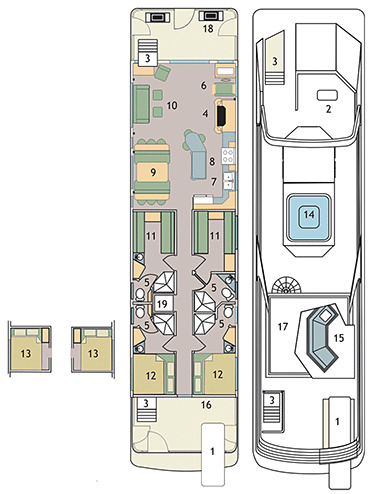 The staterooms on the Genesis 70 are bright and airy and come with a TV/DVD. 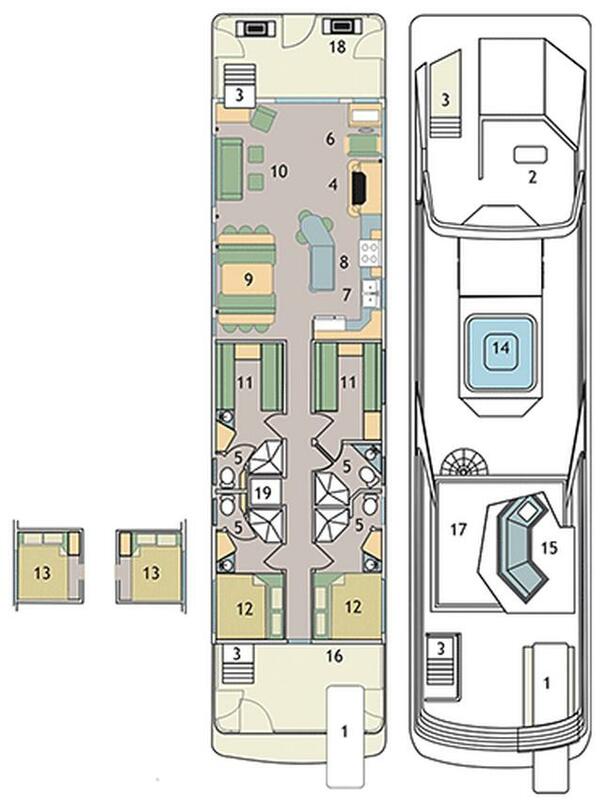 Three of the 4 berths have a private three piece bathroom, the fourth stateroom has access to a communal bathroom. What else? We've got 2 lower cubby berths with Queen size beds, fans, storage and large windows to let the natural light in. What's more, a quiet subtle earth tone color scheme with direct/indirect lighting. Sweet dreams! The Genesis 70 has been built for pure enjoyment - with more than ample space and amenities for luxurious cruising and entertaining. 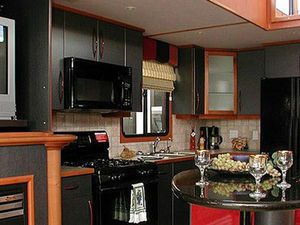 We begin with the large skylight over the Corian counter top on the island and the comfortable dinette. 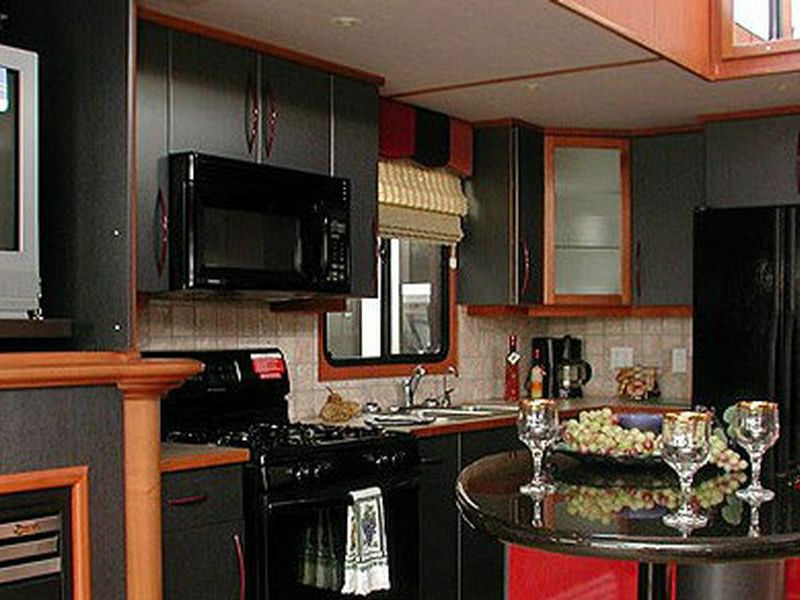 Large windows bring the beauty of the outdoors in as you prepare meals in the handsome galley that's equipped with stove, coffeemaker, refrigerator, deep stainless- steel sink, substantial storage space, and microwave. 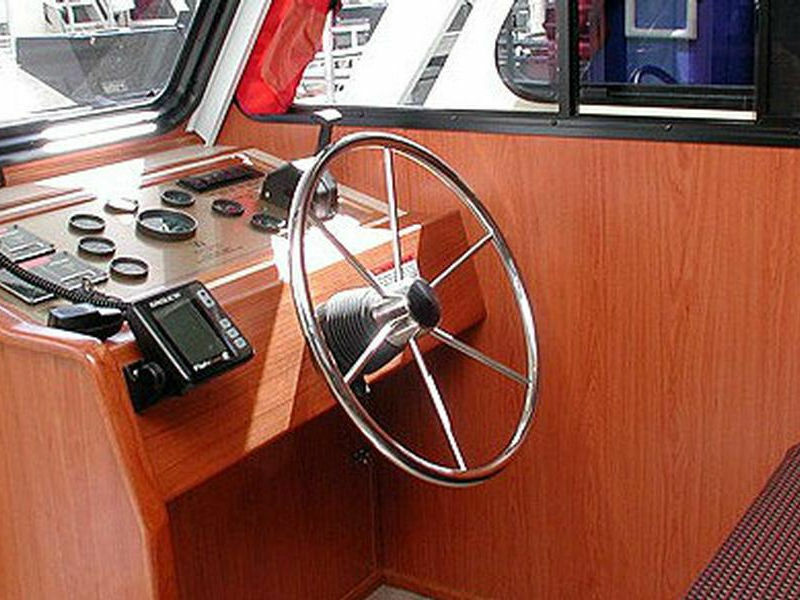 Not many houseboats are equipped like this! Bring new life into your life... Direct/indirect lighting, a jazzy, fun color scheme, and a JVC AM/FM surround sound stereo with CD player, fireplace, satellite TV with DVD player. 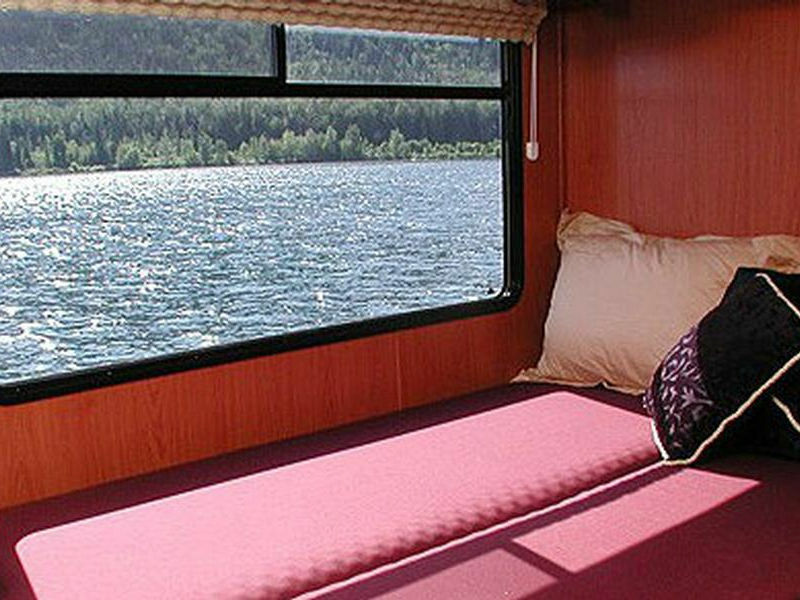 A comfortable sofa that makes down into a comfy bed. Large windows and sliding glass doors that lead out to the front deck and outdoor propane BBQ. Now that's comfort! 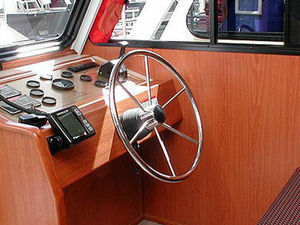 Living aboard the Genesis 70 is really living... 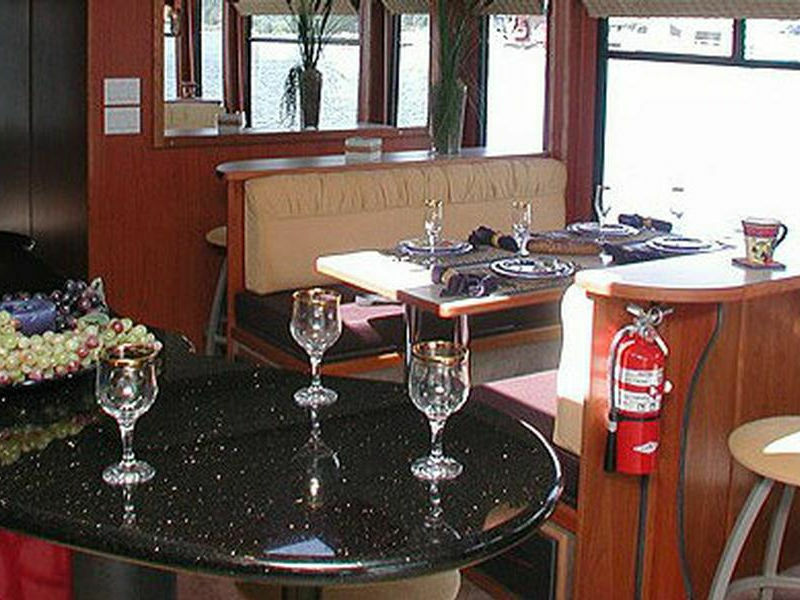 When you step out onto the front or back decks you'll find a stairwell leading you to a spacious upperdeck where you can party all night long. A hot tub, wet bar, stereo, waterslide and fly bridge await you and your friends. 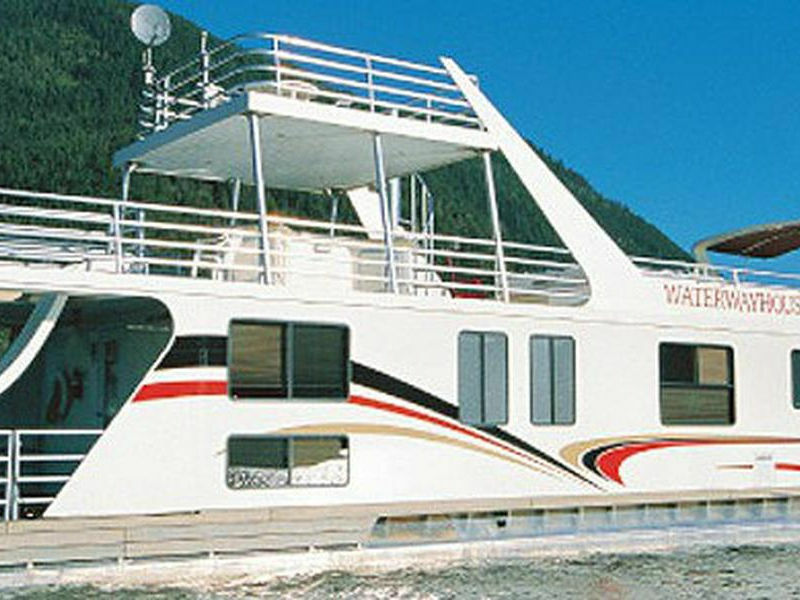 Enjoy the spectacular view from the third level observation deck or escape the suns rays and relax in comfort under the bimini top as you cruise the beautiful Shuswap Lakes. Now that's living! The rental rates listed do not include sales tax, environmental fees, fuel expenses, propane or other options. 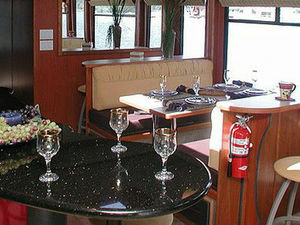 A down payment of $750 is due when you make a reservation. A refundable security deposit of $5000 is due upon arrival if you purchase the insurance option. The refundable security deposit is $10000 without the purchase of the insurance option.